Let’s see. It’s December 17th. I’ve been moving elves for 20 nights already. Of those 20 nights, I have forgotten to use my own printables and had to come up with a quick idea that didn’t involve the printer, couldn’t find tape, or really just couldn’t even. So with another 7 or 8 nights of elf moving left… who couldn’t use another idea or two for those adorable little elves? I think by now most of us want simple elf on the shelf ideas. Even if you use other elves like Christopher PopinKins, Elf Magic, etc. This printable elf on the shelf idea requires you to have a toothpick and a printer…and some card stock. 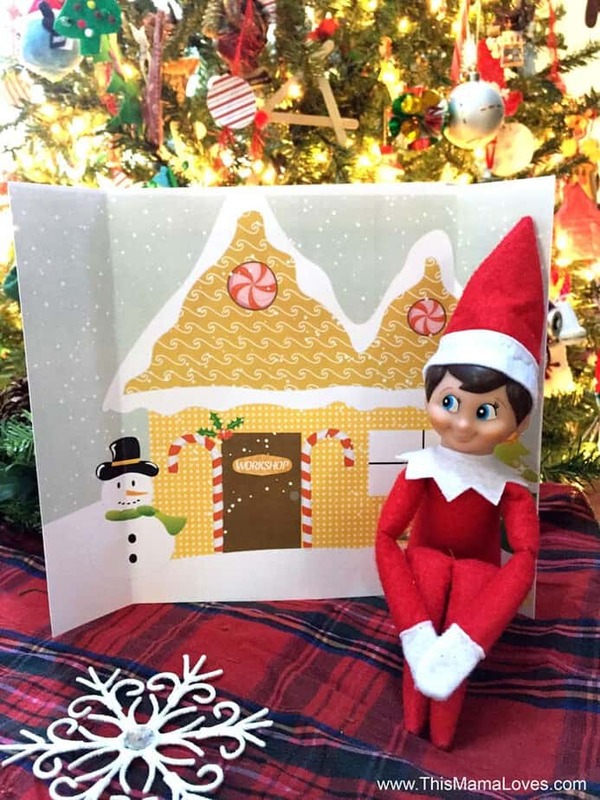 Print the backdrop, fold it so it stays, and sit your little elf down with a toothpick as a pointer (or really, skip the pointer, because how many days have we moved these little guys already?) and voila! A fun new elf idea that’s not been seen before! So now you’re set for 2 nights… and if you haven’t already- don’t forget the Dunk Tank, Photo Booth, Massage Table and Candy Cane Jailfor your Scout Elves! That’s almost getting you right to Christmas Eve! The Santa’s Workshop backdrop is the perfect way to get your kids ready to say goodbye to their beloved elves for another year- a reminder of the elves needing to be back to help Santa get those presents on the sleigh! If your kids are missing their elves a lot- check out the Elf on the Shelf birthday book, or grab them a fun little stuffed elf toy for their bed to snuggle with. 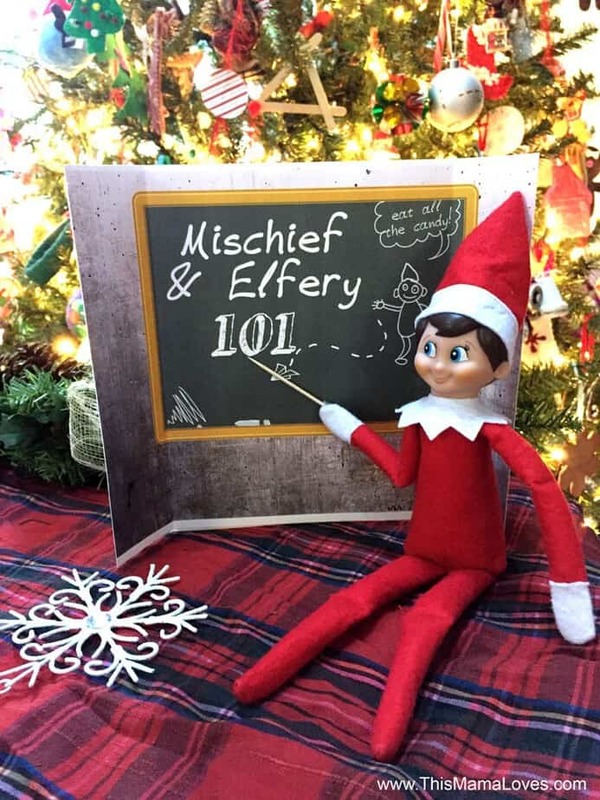 What are your fave things to do with your elves? Do you like simple elf on the shelf ideas? Or crazier ones? Can I please get the kissing both too? VERY CUTE!! Thank you so much for sharing your work!!! 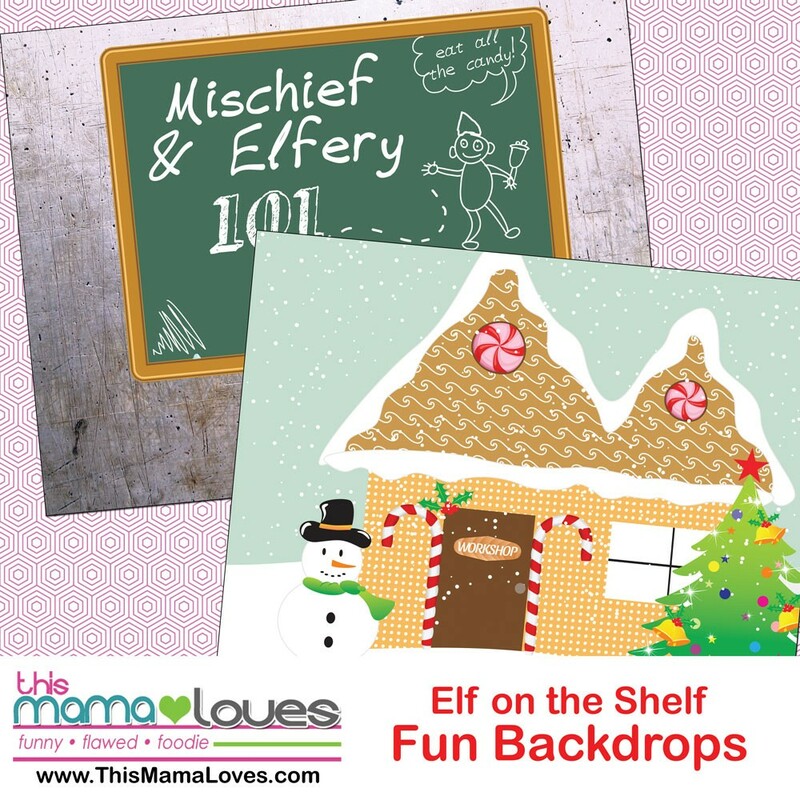 Your elf printables are amazing and the cutest!